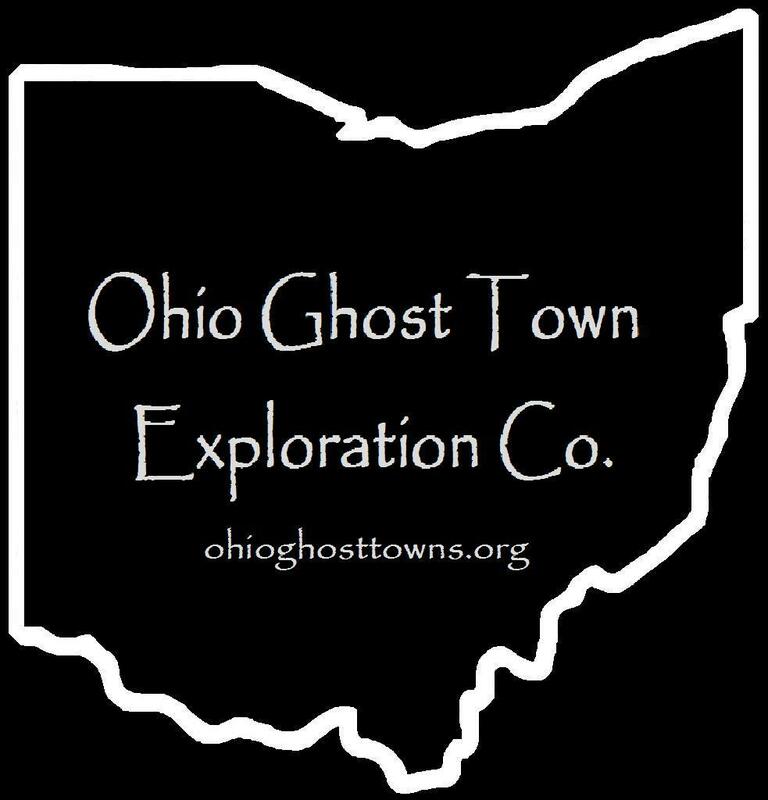 Harrison County – Ohio Ghost Town Exploration Co. Description: The town was platted in 1815 by Abasolom Kent Jr (1782 – 1878), naming it after Brownsville in Fayette County, Pennsylvania where his family previously lived. Brownsville in Harrison County was mostly a farming & livestock raising town. It had a school where the church now stands. The church was moved from Tappan in 1941 after the construction of Tappan Lake began & continues to operate. Absolom Kent had 6 children & later moved out of the state. He was buried with his wife, Mary (Archbold) Kent (1783 – 1861), in Peebles Cemetery on N Walnut St in Chesterfield in Macoupin County, Illinois. Description: The original proprietors were Irish immigrant William Clendening (1789 – 1867) & Elizabeth (Birney) Clendening (1813 – 1885). They married in 1833 in Jefferson County, had 6 children, & moved to a 240 acre farm in Harrison County in 1844. One of their sons, Israel B. Clendening (1837 – 1915) & his wife Sarah (Wagers) Clendening (1836 – 1909), inherited the land & had 8 children. They moved to Freeport in 1895, leaving the old farm to their son Denver Clendening (1875 – 1939), who took the town in to the 1900s & carried on the family tradition of farming & livestock raising. However, Clendening never grew beyond the cluster of houses surrounding the GPS coordinates. It’s currently the location of Fort Steuben Scout Reservation, a summer camp for Boy Scouts. Description: It was a coal mining town on the Cadiz Branch of the Pittsburgh, Cincinnati, Chicago, & St. Louis Railway in the late 1800s to early 1900s with a school in the northwest lot of the intersection. An M. Conway owned the land where the school was & another lot on the south side of the railroad tracks. Mattern Cemetery predates Conway being a town & was established in 1822. Some members of the Hall, Mattern, McCabe, Ross, & Tipton families have recorded burials there. Description: Enfield was a small farming & postal town with a saw mill & a population of 50 in 1900. H. H. Finical was the first known postmaster. The last known postmaster was August Specht (1841 – 1905). The Specht surname is of German origin & appears to have been modernized to Speck. August was buried with relatives 5 miles southeast of town in Cadiz Union Cemetery on Charleston St in Cadiz. Some of Enfield’s other residents were laid to rest in Hines Cemetery. Most of the current buildings in the vicinity date back to the ghost town’s heyday. Description: It was founded by a branch of the Fisher family in the county. Description: Ginther had mines owned by The Pittsburgh Block Coal Company in the early 1900s. The area later became Kenwood, which had a post office from 1910 – 1919 & is still a populated place. Description: The town had a few coal mines & a stone quarry on land owned by the Hall family. Its train station at the junction of the Cadiz Branch of the Pittsburgh, Cincinnati, Chicago, & St. Louis Railway & Wheeling & Lake Erie Railroad was named after a branch of the Folks family in the county. W. C. Gallaher was the first postmaster. Augusta B. Snyder was the last known postmaster. Many residents were buried in Bethel Cemetery a mile north of the GPS coordinates at the intersection of SR 151 & Bakers Ridge Rd (Co Hwy 51). Description: This small farming town had a combined church & school on the west side of Ourant Rd near the GPS coordinates. The road was named after the family of Washington Ourant (1808 – 1884) from Columbiana County & Mary (Martin) Ourant (1808 – 1866). They had 8 children & Washington was a hat maker & farmer. He remarried after Mary passed away. Washington & Mary were buried with relatives in Hines (Monrovian Ridge) Cemetery about 4 & 1/2 miles east of town at the intersection of Deersville Ridge Rd & Arnold Rd (Township Hwy 320). Lindley Lewis Barrett (1850 – 1901) was the first postmaster. He was buried with relatives 4 miles southeast of town in Lees Run Cemetery on the east side of Lees Run Rd. Emerson P. Hines was the last postmaster. Description: The proprietors were pioneers Henry Bowen Heller (1817 – 1881) from Greene County, Pennsylvania & Mary Anne (Weyandt) Heller (1816 – 1874) from Maryland. Henry was just a few months old when his parents made their journey to Ohio. He was a stone mason, an artillery captain in the state militia, & became a farmer later in life. Henry was also a land appraiser, township trustee, & the town’s postmaster. Hellers Cross Roads had a school, which was its only public building, about a mile northeast of the GPS coordinates on land donated by the Heller family. It was in the lot in the northeast corner of the intersection of Plum Run Rd & Hickory Rd (Township Hwy 216). Henry & Mary Anne had 7 children & were buried with relatives in Heller Cemetery, established on their original 67 acre farm. Description: Laceyville was founded by War Of 1812 veteran Major John Stinson Lacey (1793 – 1873) from Sussex County, Delaware & Anna (Hoyt) Lacey (1802 – 1885) from New York. They married in Ohio in 1820 & had 9 children. John served as sheriff & treasurer of Harrison County. After living in Cadiz for a couple of decades, John & Anna moved to Stock Township & built a new house in 1842. They operated a hotel & tavern which became an important stagecoach stop. The town grew around the the hotel & had a general store, school, blacksmith shop, & a shoe shop, along with a few other small businesses over the years. It also had a baseball team that competed with other teams around the region. The first postmaster was one of John & Anna’s sons, Civil War veteran Captain Robert Stinson Lacey (1832 – 1915). He was buried in Arlington National Cemetery. Another one of John & Anna’s sons, Civil War veteran Major Henry Brush Lacey (1828 – 1902), operated the hotel for several years after his father retired. Aside from some nice farms remaining in the area & the old hotel, Laceyville had nearly disappeared by the time construction of Tappan Lake began in 1935. Much of its land was submerged by the waters in 1938. The hotel was demolished in the early 1940s. John & Anna were buried with relatives, including Henry, in Pleasant Valley Cemetery about 1 & 1/2 miles northwest of the GPS coordinates on the east side of US 250. Description: It was between Conway & Halls (Folks Station) on the Cadiz Branch of the Pittsburgh, Cincinnati, Chicago, & St. Louis Railway. Description: The proprietors were members of the Keesey family who donated land for Asbury Chapel which was built in the mid-1870s. James Keesey (1821 – 1884) & Margaret (Layport) Keesey (1826 – 1894) were the patriarch & matriarch. They married in 1846 & had 12 children. One of their sons, John Keesey (1852 – 1931), was the postmaster. The town also had a school on the west side of Kanoski Rd. The Keesey family was buried in Hines Cemetery a mile east of the GPS coordinates at the intersection of Deersville Ridge Rd & Arnold Rd (Township Hwy 320). Description: Newtown lost a mid-1800s battle for the area’s dominance to Georgetown. It was last spotted in the 1875 county atlas & didn’t make it into the 1900s. Description: It was another small farming & postal town. The first known postmaster was Joel Martin Johnson (1822 – 1881). He was buried with relatives in Minksville Cemetery 6 miles north of the GPS coordinates in Minksville Cemetery on the east side of Minksville Rd in Nottinham Township. James K. Ourant (1833 – 1905) was the last postmaster. James was laid to rest with his wife about 10 miles northeast of town in Cadiz Union Cemetery on Charleston St in Cadiz. Construction of Nottingham Presbyterian Church was completed in 1861 & was honored with an engraving on page 74 of the 1875 county atlas. It’s in amazing shape for a wood frame structure of that age. Description: The town was platted by Joseph H. Penn (1813 – 1881) from England & Jane (Hamilton) Penn (1813 – 1878) from Pennsylvania. They got married in 1834 & had 10 children. It’s unknown if the lots in Pennsville ever sold, or if any attempt was ever made to actually sell them, despite having a good location along the Pittsburgh, Cincinnati, Chicago, & St. Louis Railway. There’s no record of the place in the county history books. Pennsville didn’t make it onto any maps we have access to either. In any case, some semblance of a town did pop up 1/4 mile north of the GPS coordinates, at the intersection of Cadiz – Amsterdam Rd & Cadiz Junction Rd where it meets Center Unity Rd, around the farm of William Tipton (1810 – 1892) from Pennsylvania & Jane (McKiterick) Tipton (1816 – 1893). They married in 1839 & had 10 children. William & Jane donated land for Center Unity Presbyterian Church built in 1868, its accompanying cemetery across the road, & a school (German Township No. 5) on the south side of the church. The church & school still stand at the intersection. Everyone mentioned in this listing was buried in the cemetery. Description: Pleasant Valley Methodist Episcopal Church was constructed on land owned by Major John Stinson Lacey (1793 – 1873) from Sussex County, Delaware & Anna (Hoyt) Lacey (1802 – 1885) from New York who founded Laceyville. A town farming town formed around the church & the first burial in the cemetery was Daniel Smith (1774 – 1856) from Maryland. He married Elizabeth (Perrigo) Smith (1781 – 1866) in 1801. They had 10 children & moved to Stock Township in 1821. The town was called Pleasant Valley until the later 1800s when the Smith family became the most prominent in the vicinity. A post office was established at the intersection of US 250 & Buxton Rd (Township Hwy 210) & turned into the center of town. John H. Henderson (1872 – 1946) ran a general store in Smithdale & was the last postmaster from 1905 until it closed. He married Anna (Buxton) Henderson (1878 – 1968) & later moved to Tuscarawas County. They had 3 children & were buried with relatives in Evergreen Burial Park on Delaware Dr SE in New Philadelphia. The Buxtons are also related to the Smiths by marriage & continue to operate a farm at the old Smithdale intersection. Description: It was a farming & coal mining town. Laura Emma (Sult) Adams from Indiana was the postmaster. She married Samuel Ellsworth Adams (1862 – 1934) & they later moved out of the state. The Adams family owned much of the land on the north side of Clearfork Rd & opened up some coal mines in the area. Laura & Samuel were buried with relatives in Great Bend Cemetery on Broadway Ave in Great Bend in Barton County, Kansas. Description: Titus Store preceded Cassville as a town, which had a post office from 1848 – 1905. The proprietors were Timothy Titus (1788 – 1869) from New Jersey & Mary (Guthrie) Titus (1792 – 1849) from Washington County, Pennsylvania. They got married in 1812, had 8 children, & owned a general store close to the GPS coordinates with Timothy as postmaster. Timothy & Mary were buried with relatives in Titus Cemetery. Description: It was listed in the 1837 Ohio Gazetteer And Traveler’s Guide as a town in Moorfield Township. Description: The original proprietors were Mexican – American War veteran General Charles Warfel (1807 – 1871) & Mary (Boyd) Warfel (1811 – 1879). They were both born in Pennsylvania, married in Ohio in 1833, & had at least one son. Charles & Mary were buried with relatives in Cadiz Union Cemetery 2 miles north of town on Charleston St in Cadiz. The town had a grocery store in the southeast corner of the intersection in the late 1800s. Joshua B. Dickerson (1822 – 1902) was the postmaster. The office was discontinued when Joshua Passed away. He was buried with relatives in about 2 miles southwest of the GPS Coordinates in Dickerson Church Cemetery on the south side of Dickerson Church Rd. This listing was published in The Abandoned magazine’s May, 2014 premiere issue. Tappan was platted on March 4, 1837 by John Marshall (1787 – 1877) who was a business man & immigrant from Ireland. He never lived in Tappan though & died in Hancock County. The town was originally called Franklin, named after the township, but it had to be changed when the post office was established in 1840 because there was already another Franklin post office in Ohio. It was renamed Tappan after Benjamin Tappan who was a Harrison County judge from 1816 – 1823 & then a U.S. Senator from 1839 – 1845. Tappan only had 4 families in 1840, but quickly grew to its peak population of 171 in 1860. It was simply considered to be a post office town by the state, but in 1875 Tappan also had a steam powered grist & saw mill, hotel, a school, blacksmith, shoe shop, tannery, a doctor, two general stores, & two churches, as well as around 50 houses for the residents. In 1933 leaders of the Muskingum River Concervancy Project decided that a dam should be built on Little Stillwater Creek that ran through town. Construction began in 1935 & was completed in 1938. The residents of Tappan were paid small amounts of money to move, & some didn’t have enough time or funds to move all of their belongings before the town met its watery demise & was submerged by Lake Tappan in 1938. A couple of other nearby towns were also submerged, including Laceyville & another town that was founded by freed slaves who traveled north after the Civil War. Today, Lake Tappan is a nice place to visit for a day trip or while on vacation, but it’s sad that the town was considered to be expendable while larger towns that had railroads on the north & south sides of the lake were spared. Tappan wasn’t expendable to the residents that lived there. It was where their homes & lives were. Tappan Cemetery was said to have been moved just north of the lake on Mill Hill Rd (Local Hwy 215), but findagrave.com only has one know interment listed there. We suspect scores of residents are still buried in the old Tappan Cemetery beneath the waters of Lake Tappan, as the town existed for over a hundred years. People who scuba dive in the lake these days say it’s an extremely eerie experience & you can’t go very far without almost running into a house, mailbox, tractor, barn, & other buildings. The Muskingum River Conservancy District still owns the lake & surrounding land. There’s a historical marker for the town on the Tappan – Monrovian Trails Scenic Byway (US 250) in a parking lot just south of the intersection of Mill Hill Rd & another one for Laceyville on US 250 near the southeast side of the lake. There are also a few old homestead foundations & remnants from the former towns in the woods around the lake. Tappan is like the Atlantis of Ohio, & despite being underwater, might be one of the most well preserved ghost towns in the state. Thanks to Lori Kline for providing the lead on Tappan! Her stepfather was born there in his boyhood home in January, 1928 during a bad snow storm. His family had to wait until the weather & roads cleared up two weeks later to get to the nearest hospital.